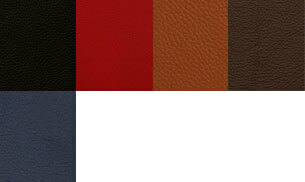 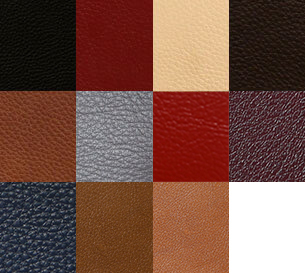 A matchless design, the Seatcraft Enigma has a level of craftsmanship unheard of in the entire world of leather furniture. 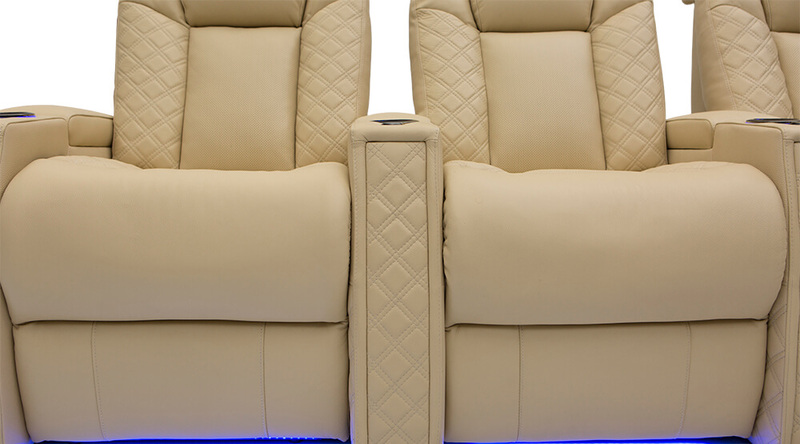 Intensely crafted with passion, each of its double-stitched diamond patterns flow into the next, each adding to this entirely unique masterpiece, ready to glare back with its peerless gaze from the center of your home theater in any of its 16 available leathers, customized by you, and only you. 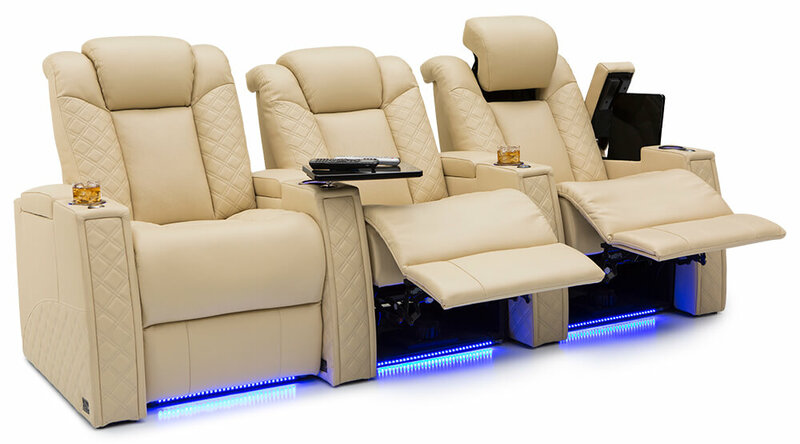 Its black chrome LED cupholders, free black tray table, USB Charging Stations, high tensile threads, and chilling LED sapphire lights that peer from beneath its base, are all at your command in a chair that offers the functionality of entire living rooms in a single, extremely comfortable seat. 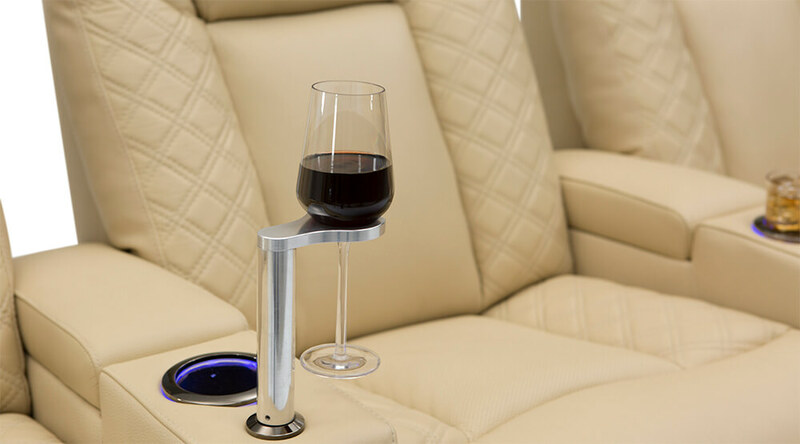 Enjoy Enigma, because afterwards, enjoying anything else is impossible. 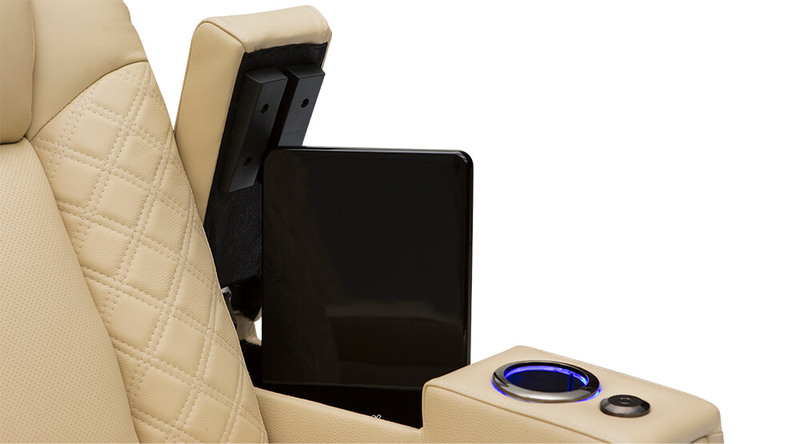 Be inside your favorite movies and hear every heartbeat, engine, explosion, and footstep at the right intensity as SoundShaker sends vibrations into the chair in sync with the on-screen action, only requiring a SoundShaker amplifier to be hooked up. 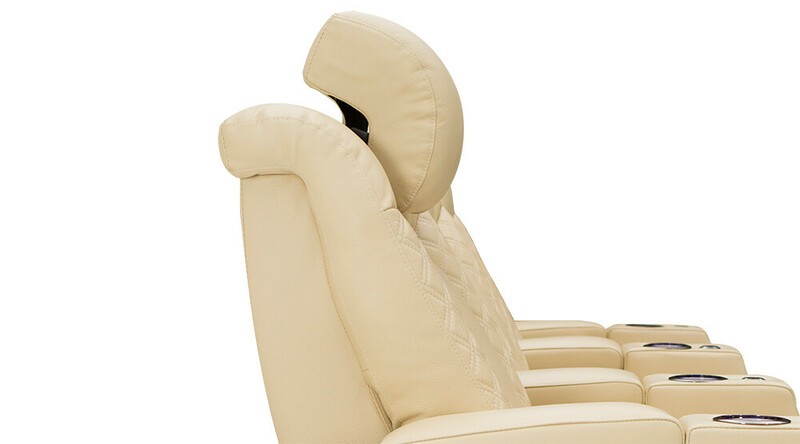 Designed to adjust and support evenly against the lower backs’ natural curvature to reduce strain, as well as improve comfort and relaxation. 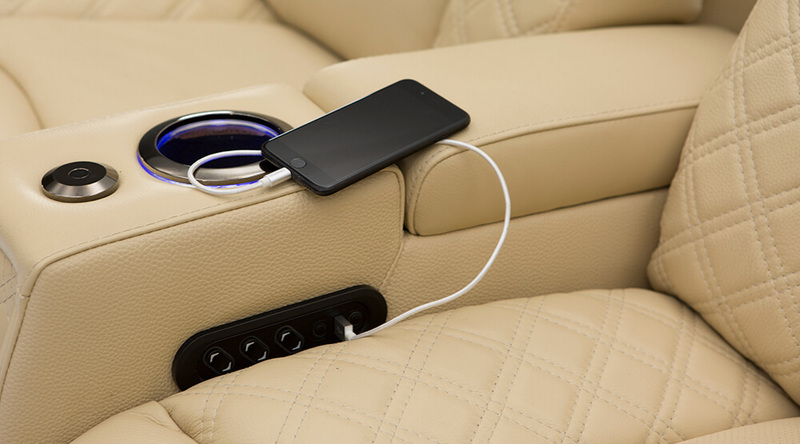 USB Charging port comes built in with every chair’s power recline switch. 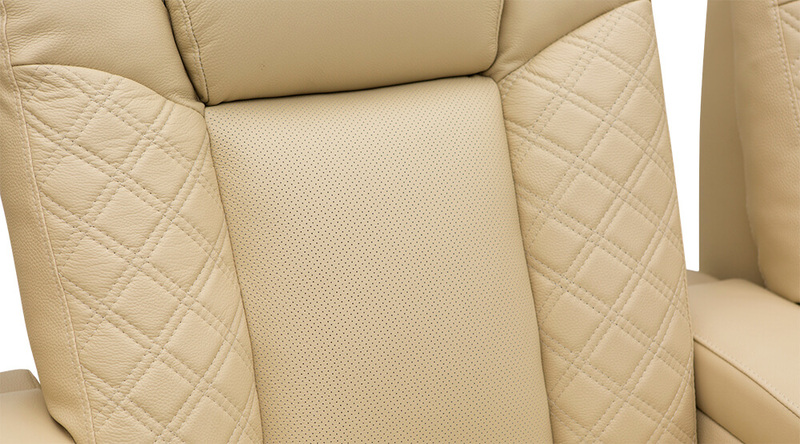 No matter where your body touches on the center of this seat, the perforations and cool foam layering regulate temperature of the leather, so that the surface still feels fresh no matter how long you binge-watch your favorite shows. 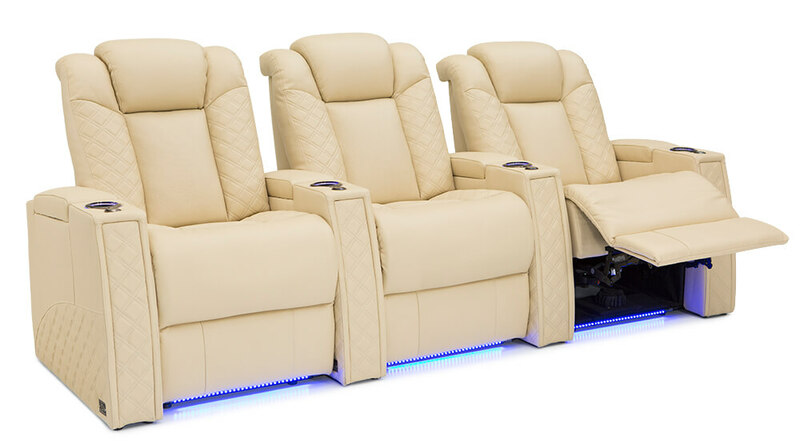 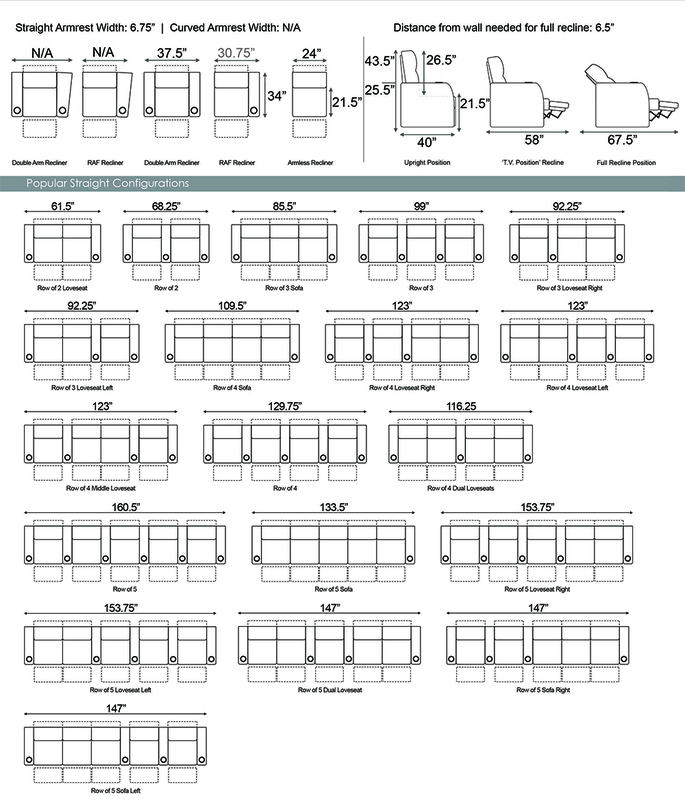 Attach the table and enjoy your favorite movies, snacks, and experiences in one of our most luxurious chairs ever. 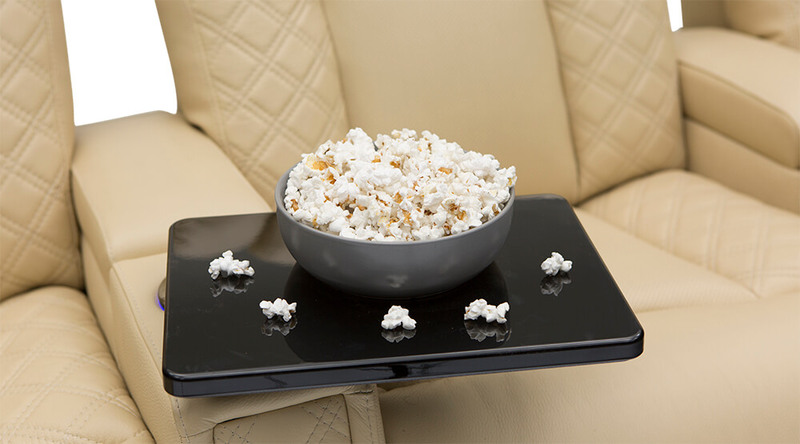 These beautiful padded armrests flip up to reveal ample storage space for all your theater or living room necessities. 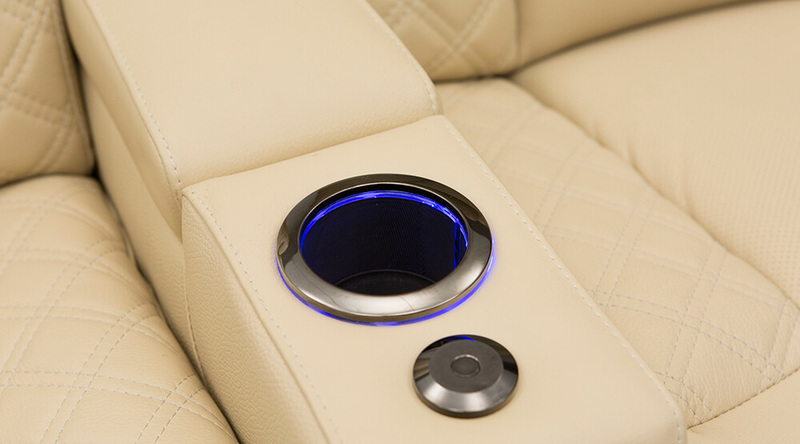 Ambient blue lighting built into these cupholders illuminate and hold all your favorite drinks. 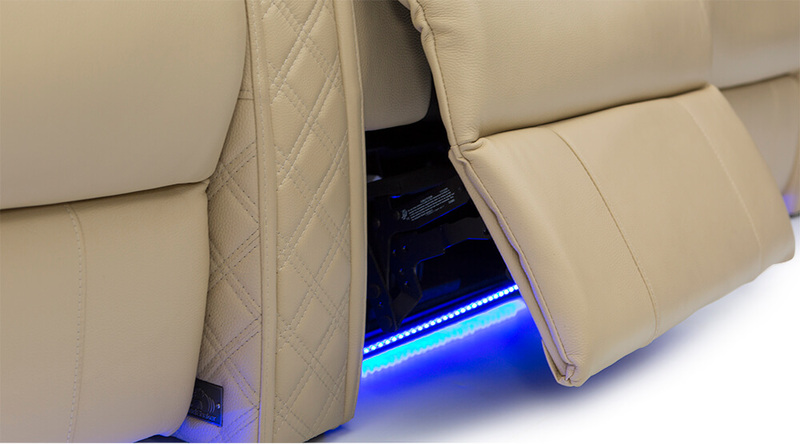 Peering from beneath the base of these seats are blue LED baselights that toggle on, or off, at your command.